Hi there! long time since my last post! Hi there! long time since my last post! I’m so sorry but I’m working on a bunch of commission that I’m not allowed to post. 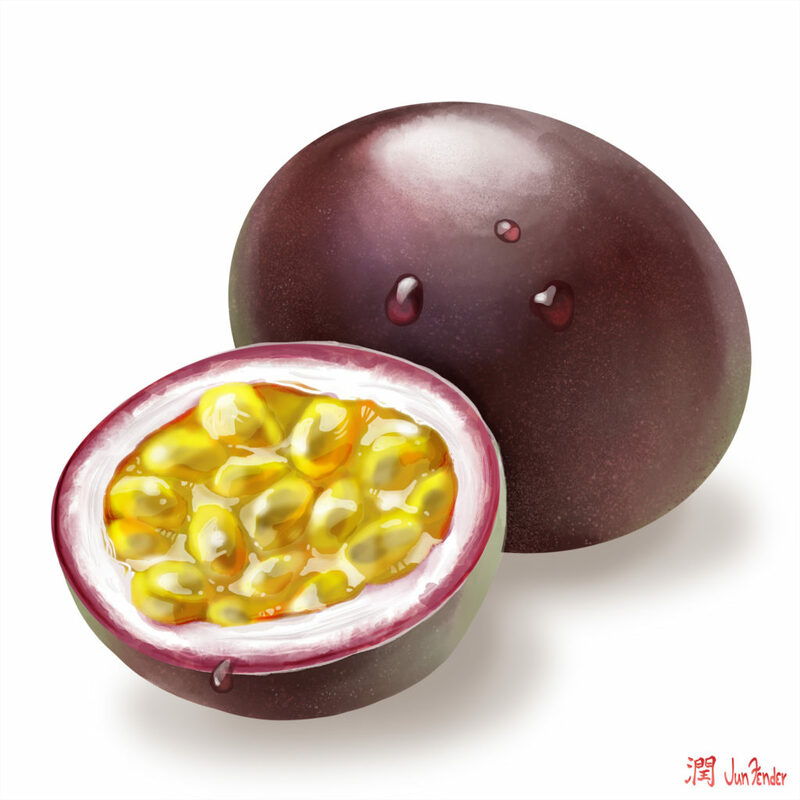 This is finally a digital painting I did for my own pleasure, a juicy passion fruit, oh it tastes so good, believe me! I used Photoshop and a bunch of new brushes.